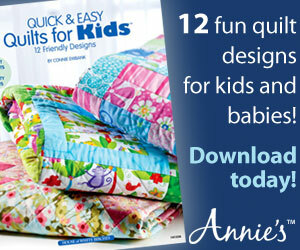 I used a few different fabrics to create this super cute banner and really used basic shapes. You can draw any shape you like for your ornaments. Draw 6 triangles on the paper side of double-sided fusible. My triangles are 3 1/2″ long. Follow the manufactures instructions on the packaging and iron fusible to one side of felt. Cut out shapes, flip and fuse to wrong side of fabric. Cut out with scissors or pinking sheers for an extra detail. Consider making small ornaments like these mini trees to alternate between the bunting flags. 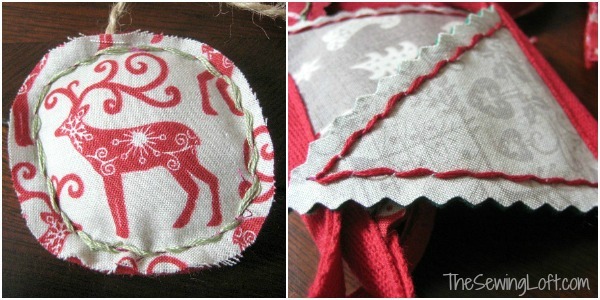 I highlighted the patterns found on my fabric and sandwiched my mini ornaments together, leaving the raw edge exposed. Position triangle bunting along 18″ in from edge and evenly space from there. Spacing will depend on how many hanging ornaments you add to the ribbon. 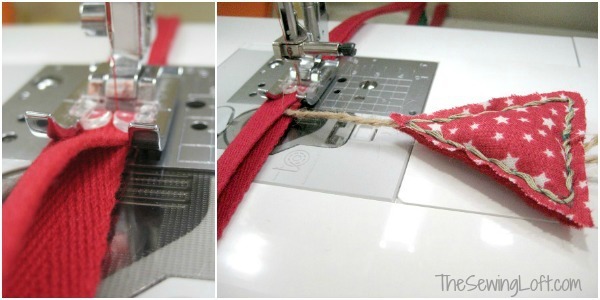 Pin each shape in place and fold ribbon over and edge stitch in place. 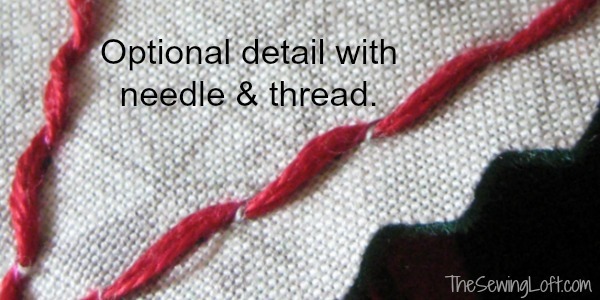 To give this ornament bunting a special touch, I weaved embroidery thread back and forth between straight stitching. 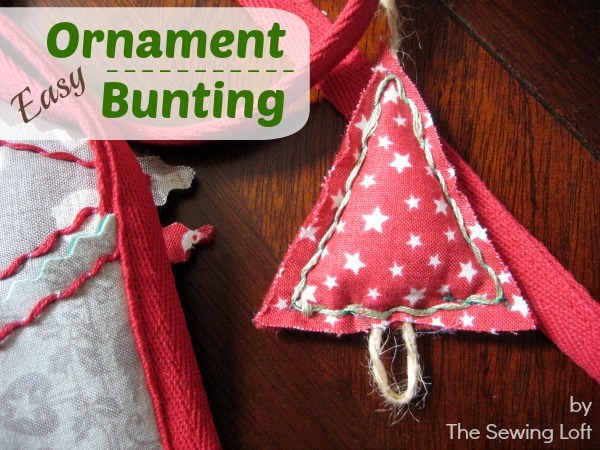 When finished bunting can be draped along your mantel, hung on your tree, attached to a wreath, even wrapped around a package. There are so many options! 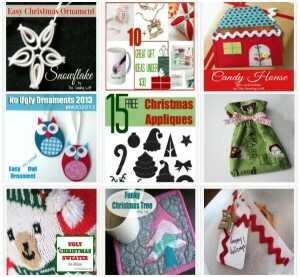 For more easy holiday decor be sure to visit our holiday round-up. 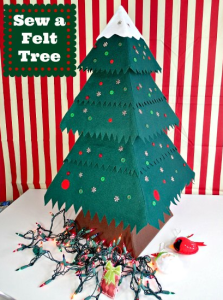 A big Thank you to Deby from So Sew Easy for putting this all together and hosting this pre holiday party! 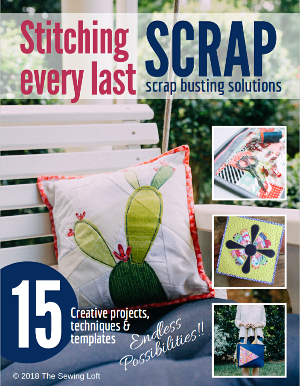 Be sure to stop by and see what other fun things the designers have created. I always feel like I will have plenty of time Deby and then it hits me like a TON of bricks. This year, I will try my best to make things in advance. Thanks a bunch for hosting Deby!